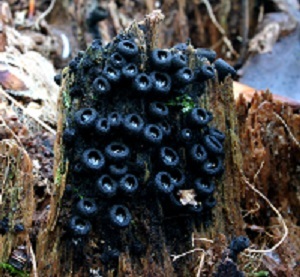 Fungi are such unique organisms that they have their own kingdom. Different types of fungi are found throughout the world, in places such as Antarctica, the Amazon Jungle, in the rainforest, the Gobi desert, and even in our own backyards. Fungi are advantageous and disadvantageous: some are used to treat and help cure diseases, but others are the cause of some diseases. One way in which fungi are helpful is that some fungal antibiotics are used to treat infections caused by bacteria. An effective and successful antibiotic is penicillin, for example. Penicillin comes from the fungus penicillium. Fatal diseases like E.coli and Salmonella, both caused by bacteria, are treated with penicillin, which is considered to be the first “miracle drug.” It's also been used to combat sexually transmitted disease such as syphilis and gonorrhea. However, as fungi are decomposers, they can also cause serious damage to the human body. This can happen through what is known as “human fungal diseases.” Common human fungal diseases include ringworm, athlete´s foot, and Candida infection. These diseases are caused and passed around by contagious fungi. Human fungal diseases can produce darkening of the skin, an itching sensation or peeling, rashes, scarring, and bumps. There are three classifications of fungi: Zygomycota, Ascomycota, and Basidiomycota. Zygomycota is the most common fungi and takes many forms including the hyphae, the branching filaments that make up the fungus the stolons; the common mold found in bread; and rhizoids, the dead organic material that fungus digests and absorbs. Ascomycota is fungi containing sacs, which produce spores. These spores can reproduce sexually and asexually. The last major classification of fungi is Basidiomycota, a club-shaped fungi. Fungi are an important group of organisms. And, it's critical to understand how these organisms can be used both to help humans and to hurt them.